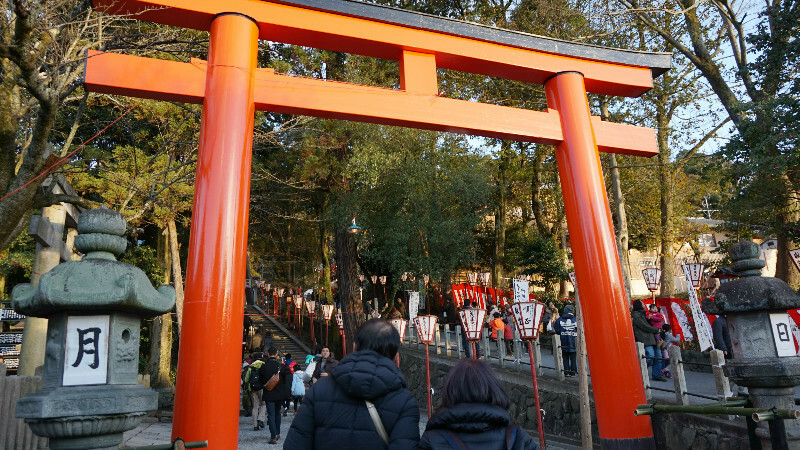 Sharing Kyoto's writers went to Yoshida Shrine and saw what the demon exorcism was all about! February 3th is setsubun which means the turning point of the season, so setsubun is the last day of winter and first day of spring. 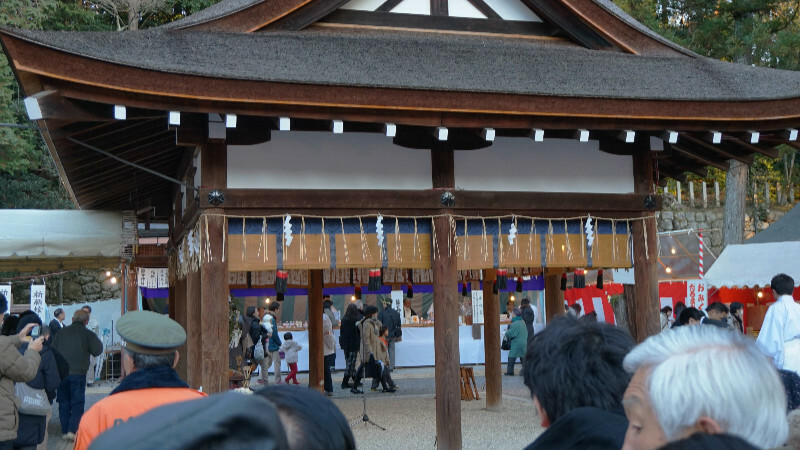 Setsubun festival was held from February2th to February 4th at Yoshida shrine. 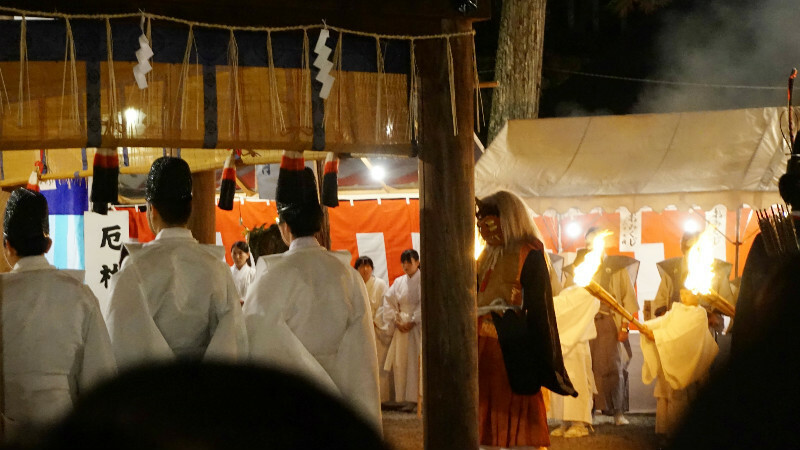 I visited the festival on the first day to see the Tuina-ceremony. Usually it is called "oniyarai" and the highlight in the first day. The shrine was crowded with a lot of people when I arrived at around 4:30 pm even though the start time was 6pm. The oniyarai stage was closer to us than my expected; you can enjoy powerful and exciting performance. I recommend visiting early, if you would like to see it in the front row. 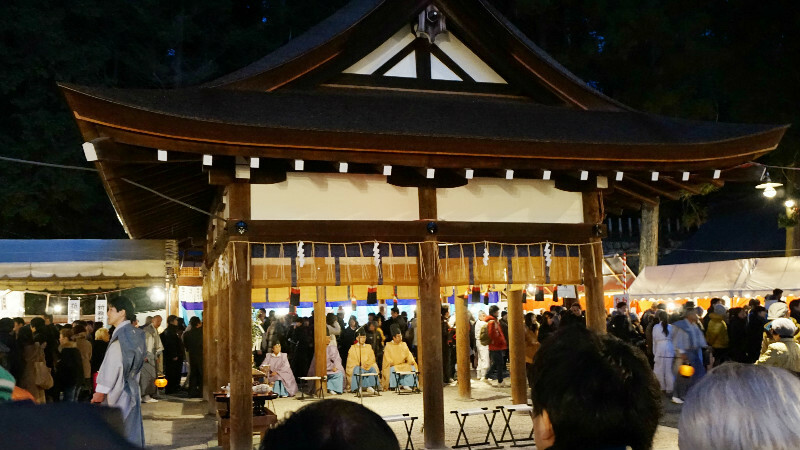 Setsubun is the coldest season in Japan, but oniyarai will make both of your body and mind warm. I was surprised that a lot of food stalls are there and crowded with people who were looking for the food or playing shooting game. 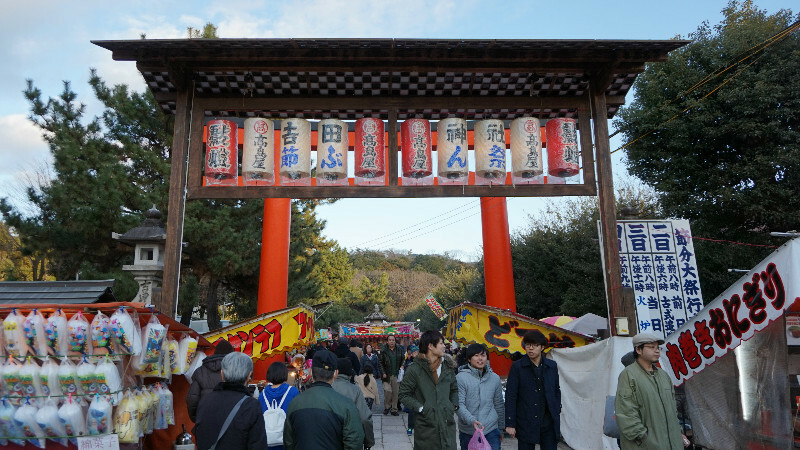 The big line of food stalls leads to Yoshida shrine. 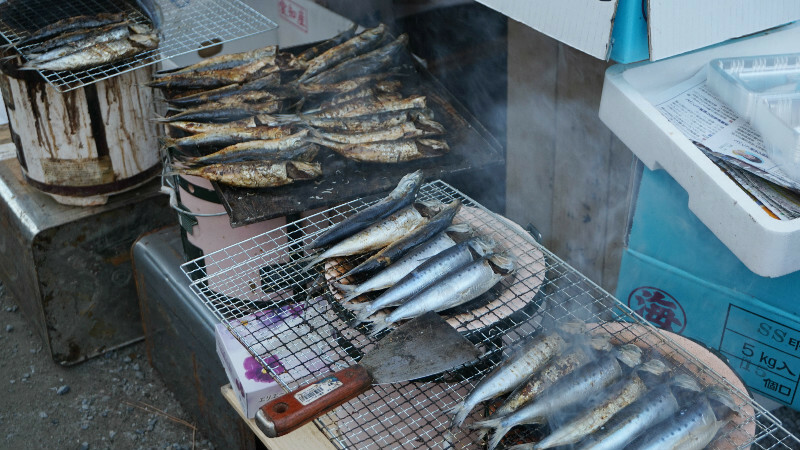 One of the customs of Setsubun nights is to hang a grilled sardine head pierced with a holly branch over the entrance of one’s house to drive away evil spirits by the strong smell of the sardine and the sharp edges of the holly leaves. You will see the long stairs after passing thorough the big food stalls line…! 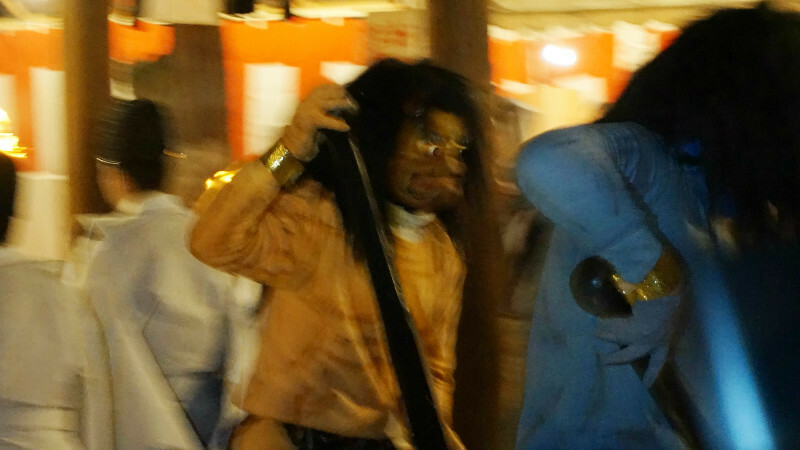 It was a little bit hard for me, but many people were climbing up to see the setsubun festival. Finally, I arrived at the oniyarai stage, it was around 4:30 pm, but there was filled with people who had a camera. I was expected that oniyarai would be a great event. Amulets shops and a ritual venue were next to the stage. Gradually, it was getting dark. 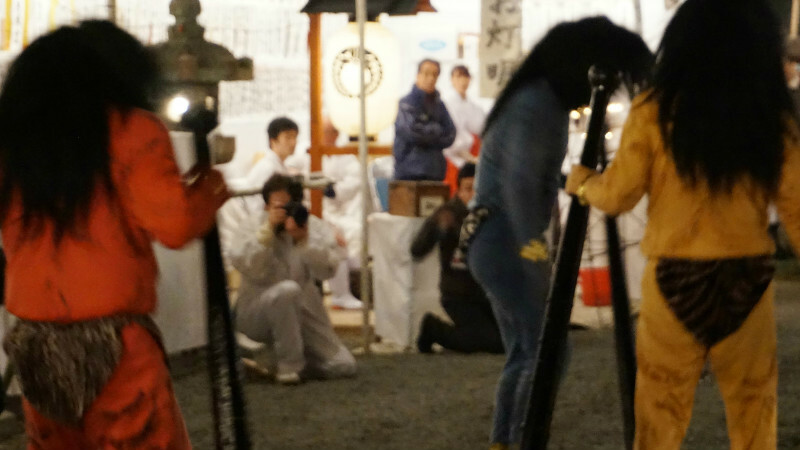 Preparation of the oniyarai started and a ritual was stopped for the event. 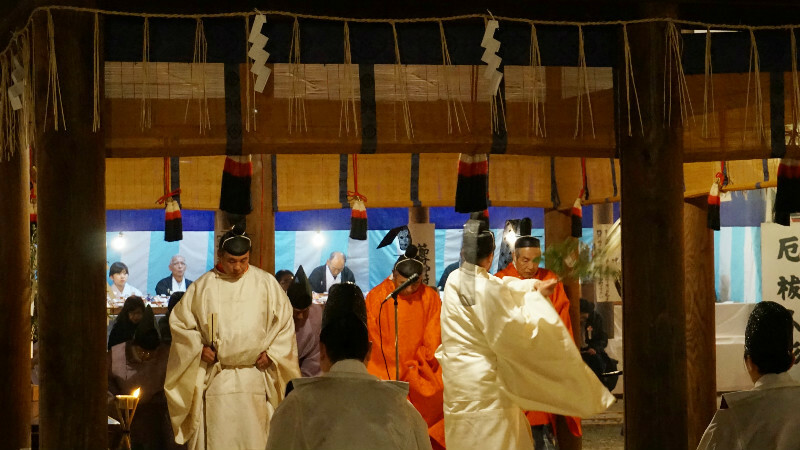 An announcement which was explaining about the setsubun festival was started. Hososhi had appeared. Hososhi is a demon who expels out devils and bring us happiness. 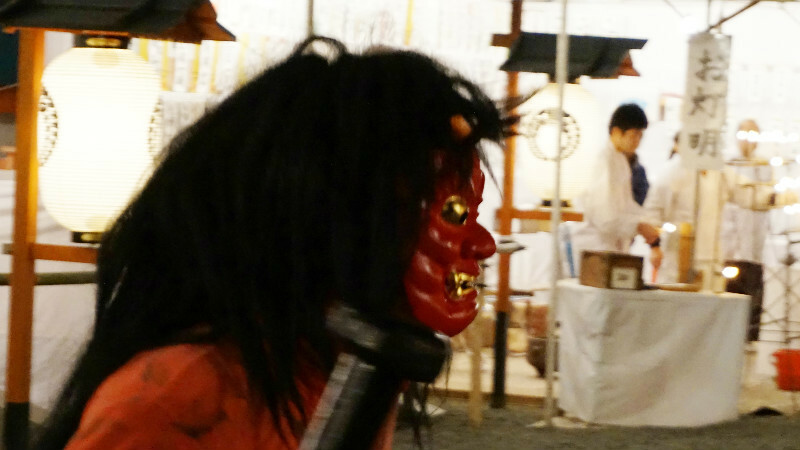 At first, a red oni (a kind of devil) had appeared and intimidated us with terrible voice. A blue oni and a yellow oni also had appeared. The colors shows different evil passions that each oni holds. Hososhi were walking on the stage for 4 times and finally drive out the three oni. They bowed to the visitors to pray for their happiness and safety life. Finally, red, blue and yellow oni ran away…Happiness and safety life for this year were brought also by oniyarai. Oni wearing a mask was more scary than I expected, and the child who was next to me was crying when oni approached close to us. Since the exciting performance was held at a very close place to us, so we got a rising enthusiasm. 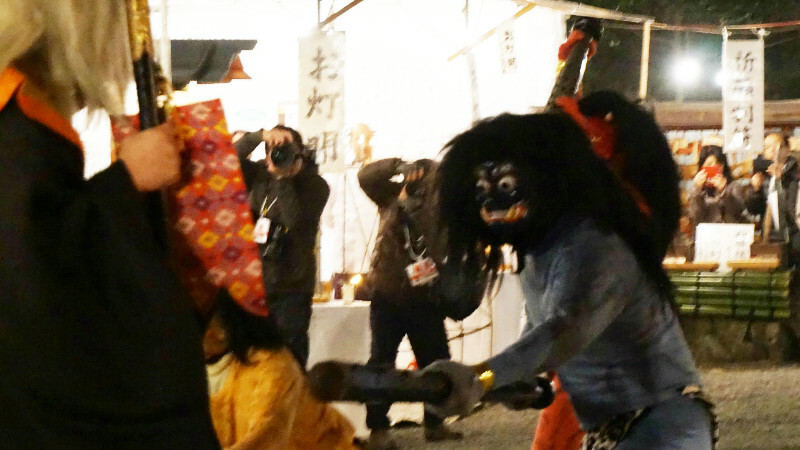 Setsubun festivals are popular and traditional event in Japan. 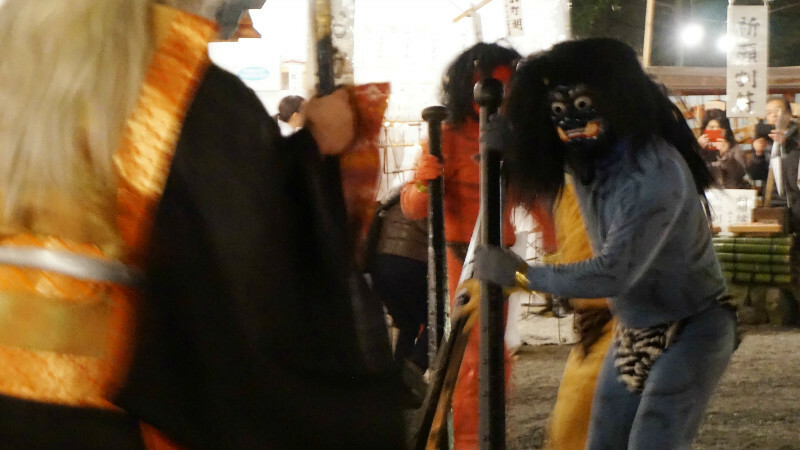 You may enjoy just by looking it, even though you don't know much about setsubun events. Please join the events next time.